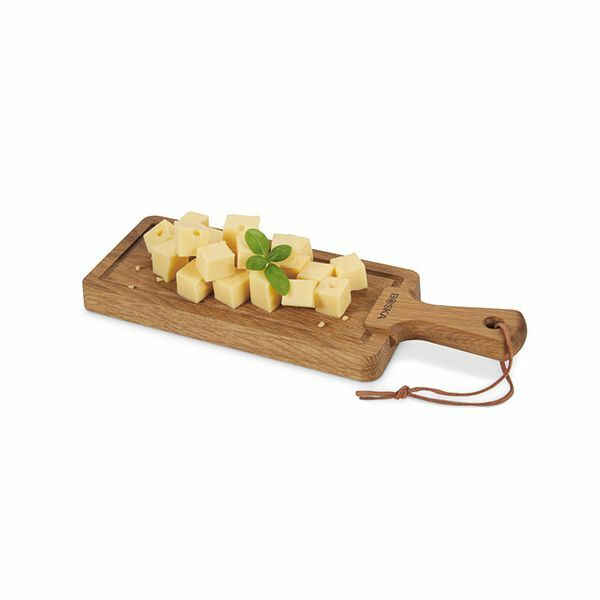 Serve your tapas, snacks and cheese on this beautiful small sized European oak board. 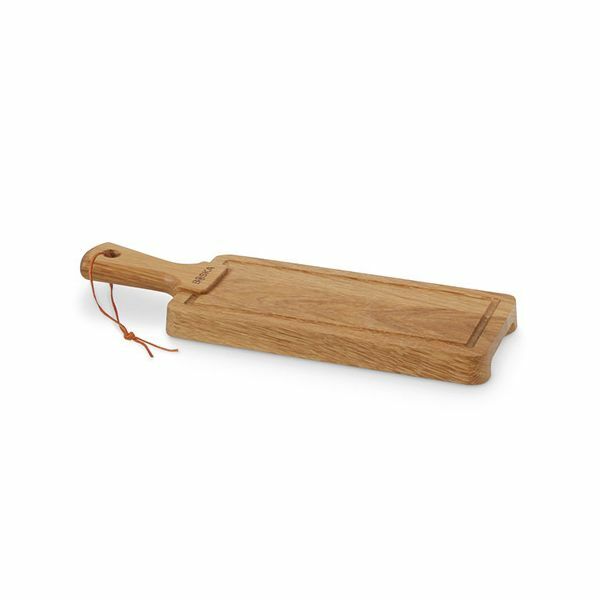 Ideal for use when entertaining your guests, you can serve your cheese course or tapas on this board. Resistant to bacteria and odours, this durable board is suitable for all uses and food types. 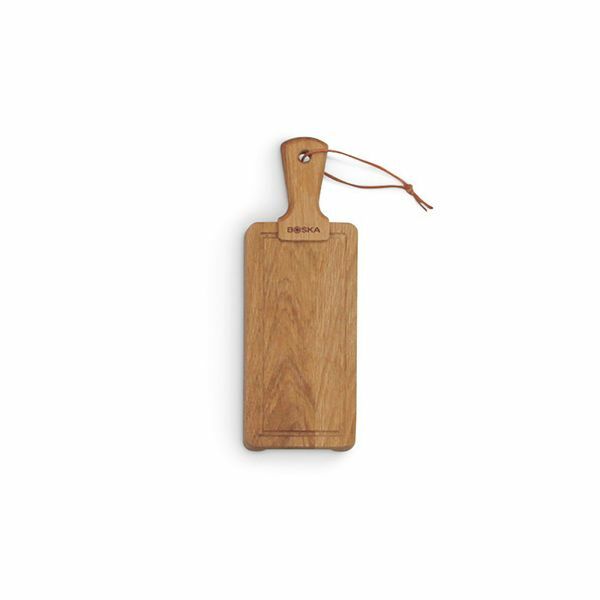 The board also features a firm grip handle for easy serving and a hangtag for storing on a rack or hook if you prefer.